Impeccable Condition! Come See this Beautifully Renovated 3 Bedroom Home! Sun drenched Second Floor! 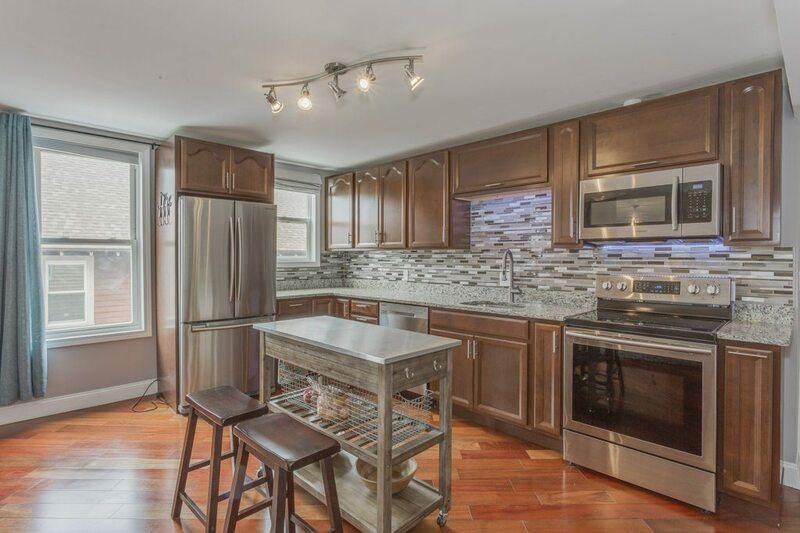 Located in the heart of the vibrant and sought after Winter Hill neighborhood of Somerville! Easy Living all on one level! Over-sized Windows & Sunshine are Everywhere! The Amazing Open Concept Living and Dining Space is Enormous! Remarkable Custom Gourmet Kitchen with endless Granite Counter tops, abundant Cabinetry & Top of the line Stainless Steel Appliances! Designer Mosaic Mutli-colored Glass tile Back splash! Exposed Brick Column! Exceptionally Generous Bedrooms offer a flexible floor plan for any Lifestyle! Easily use one as a great den or an at home office! Custom Diagonally laid Brazilian Cherry Floors throughout! Full Sized Laundry in Unit! Central Air! Extra Storage! Individually sub metered water for each unit. Enjoy the Summer ahead in the Large Common Yard with a giant Decked Entertainment area! Don’t Miss this One! A Tremendous Value and Investment in Today’s Market! Click here for more photos and a virtual tour!